I got me a Suape and it’s name is KAK. What is a suape? 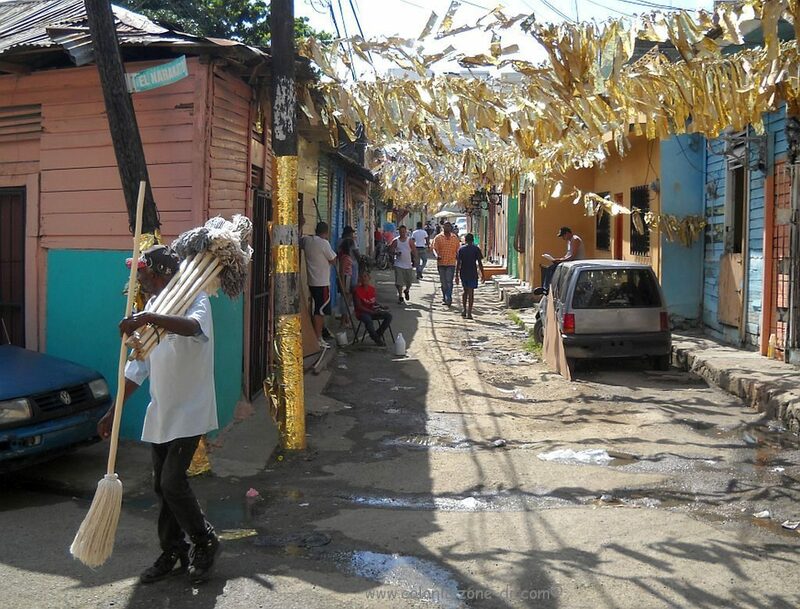 It is a mop in Dominican Spanish. I bought me one of those babies today. Nice, white and clean. According to the Suapero it was the highest quality too. The Suapero is a man that walks around selling mops. He yells out “Suape, Suapero”. I only had RD$156 in the house so I yelled out to him how much it cost. He said it was $150 pesos. I told him to wait, I threw some clothes on and went down to the front gate to buy a new mop. Suapero. Not The one I bought from but the same suapes. *Note. This is not the Suapero that I bought from but he has the same style mops. My mop needed replacing for a while but I hated the thought of buying one in the store and trying to get into a public car (shared car usually holding 4 people in the back and 2 + the driver in the front) holding on to a long mop handle and grocery bags at the same time. I went down with my $150. He has a multi-colored mop and a white one. I wanted the white one. The old guy told me that it was $180. I said I only had the $150 and walked away. He said I could have the white one for $150. He told me he made the mop all by himself and it was triple wrapped on the bottom. He did not say he carved the handle but I always wondered who did. He then tried to converse and proceeded to tell me he was a Christian and he would pray for me and my family. My neighbor was entering the door with a plate of food and he asked me for food. I told him that I haven’t cooked yet. He pointed to the neighbors food. I told him it wasn’t mine and I didn’t have anything to offer, which is true, my shelves are bare. He then asked me for some money to buy some food. I reminded him that all I had left in the house after buying the mop was $6 pesos which was the truth. I left the guy at the door, I was busy and didn’t have time to stand there and have him beg me for stuff. All the while the dogs were watching from the balcony barking randomly at this stranger at their gate. After working I went on line to check out the plastic wrap covering of his “homemade” mop. My new bright clean mop is a “Special Mops” with “Superior Quality”. 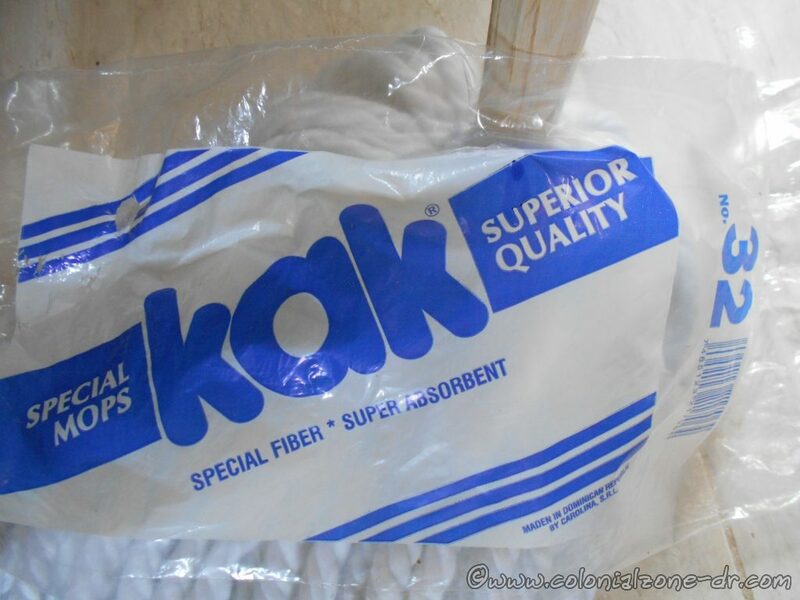 The name of the mop is kak®. 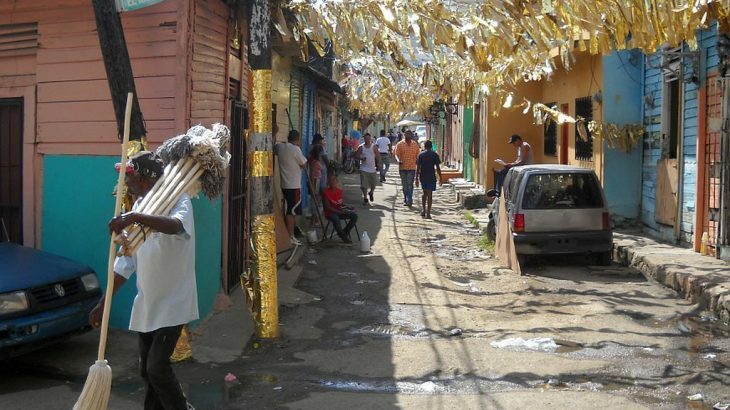 “Special Fiber * Super Absorbent” Then on the bottom is small letters “Maden In Dominican Republic by Carolina, S.R.L” Not sure exactly what maden is but that is what it says on my superior quality mop. 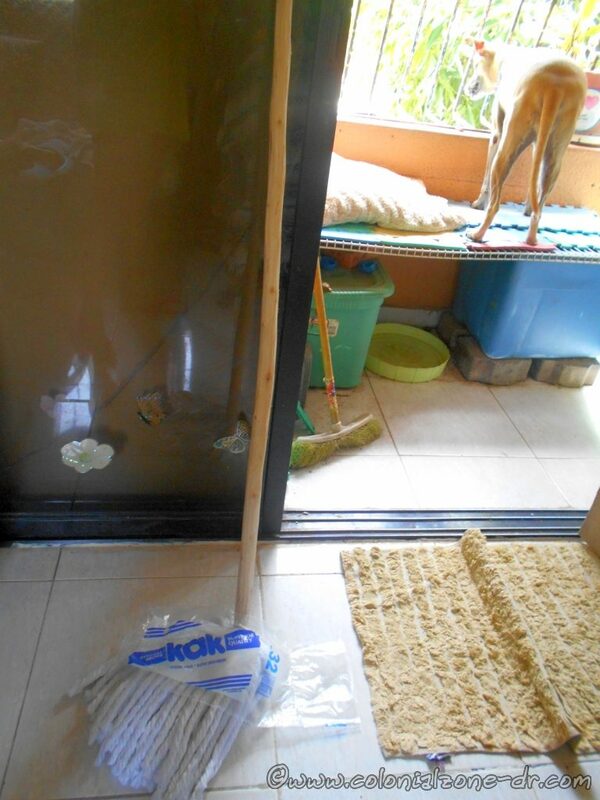 But, I got me a new nice clean and white suape (mop) so my floors will be nice and clean if I ever decide to suape (mop) them.